Some of you may have already heard about the car crash of an interview that Luke Smith gave to Eurogamer. We will get to that in a moment, first let’s take a quick look at some of the issues that people have already raised with The Taken King expansion. Firstly is the price for the expansion £40.00, this is basically the same price I paid for the full game. We don’t know exactly what this contains just yet, but we do know that it will have a new raid, multiple new strikes, new multiplayer maps and game modes, new weapons and armour, year 1 founder’s sparrow, plus new shaders and emblems. Until we really know all the details of this it’s hard to say whether this is worthwhile. Then there is the legendary edition which contains The Taken King, all year 1 DLC and the original game for £54.99. Not too bad for a new player, but completely irrelevant to ‘veteran’ players. Now on to the collector’s edition and this is the one causing the most controversy right now. For £80.00 you get everything in the legendary edition, some physical items, plus exclusive emotes, shaders and exp boosting class system. The reason this is causing controversy is because right now the only way to get those new emotes is by buying this edition of the game, meaning that if anyone who already owns the game and has supported it over the last year has to spend another £80 for this. Needless to say a lot of Destiny players are feeling hurt by this. Then came an interview from Creative Director Luke Smith with Eurogamer and, well, he just made it so much worse. Let’s take a look at some of the question and answers from the interview. Eurogamer: So it may seem like a small thing but you’re adding exclusive content to the game – three new dance emotes – that players can’t get unless they rebuy the main game and the two existing DLCs. Is that right? Luke Smith: There is no way right now for you to get the new dance emotes without doing that. Those are Collector’s Edition exclusive. We’ve set some stuff aside for that edition specifically to really make it appeal to fans who have engaged with the game already and also to people that will enter the game this autumn. So firstly they’re already very aware that to get the exclusive content is to by the collector’s edition and they don’t seem at all perturbed by this. Eurogamer then questioned the decision and again Luke Smith doesn’t seem at all phased. Eurogamer: Can you see that some fans are confused that you’re asking them to buy stuff they already own? Luke Smith: Yeah, I can totally empathise with those people. But the Collector’s Edition is a pretty cool package for people who want to pursue that stuff. Otherwise, surely what you’re saying is that you would want to buy them separately, right? Eurogamer: Well, yeah. I would rather do that – pay a few pounds or dollars or whatever – than spend money on things I already own. Luke Smith: [Laughs] Well, we have nothing more to talk about regarding your opportunity to spend extra money in Destiny, other than The Taken King and the three versions we’ve announced. What kind of an answer is that? He’s basically saying ‘deal with it’. Eurogamer: Taken King costs £39.99, which is almost same as base game. Does its content justify that? Eurogamer: I get that it is big but it is also the same price as the base game. That had four areas rather than one and more missions than the Taken King. Why is it the same price? Luke Smith: All I can do is answer that with the same thing I just gave you… We’re really comfortable with the value we’re giving to players this autumn. I believe that once we begin to share more, players will be even more excited. And for existing players it also comes with the Founder’s pack with a new Sparrow, shader and emblem. Eurogamer: Just not the emotes. Luke Smith: It doesn’t because they come with the Collector’s Edition. Like I already said, it’s a bit tough to really judge the price at this point because we don’t know all the details of what it will contain. But based on this I would expect at least two new planets or completely new large areas to explore – not missions going over the same areas we’ve already been. Seriously! I can get those 3 emotes for £80? Is he actually being serious when he says this. What value? There is absolutely no value to existing Destiny players in this. Does he seriously not see this? I feel like the questions were either not taken seriously or he was only thinking of new players? The interviewer raised some relevant questions for players who’ve already invested thousands of hours in to the game, and Luke Smith just brushed over them without really giving anything. How he can say ‘it’s about value’ is beyond me. I don’t want to spend £80 for a game I already own and 2 two DLC’s I already own – which is what he seems to suggest. This whole interview feels like a big F you to anyone who currently plays Destiny. This game has been so heavily supported and backed by a very solid fan base, and it feels like they’re turning their back on them and just trying to entice new players and extort as much money as possible from everyone. Let’s not also forget that The Taken King will include exclusive content to PS4 players. So players on Xbox One will be missing out on even more – currently new exotic weapons and armour. For £40, this Expansion better contain a hell of a lot of content to justify the price tag, but as it stands I will not be buying it. Not because of the price, but because of the attitude Bungie have taken to this and because of the complete rudeness of Luke Smith towards the interviewer. It feels very arrogant “If I fired up a video right now and showed you the emotes you would throw money at the screen.” Wow, just wow. Based on the what we’ve seen from Destiny so far i.e. lacklustre story, underwhelming DLC, I think you’re clearly misguided on the product you’ve delivered. Now, some of you might be thinking “Are people really made about some emotes?” Whilst on the surface this may seem like the case, it’s more than that. It’s about the loyal fans feeling like they’ve been pushed aside and that they don’t matter and all that matters is selling more and making money. Why wouldn’t they just offer the same content to everyone? That way no one loses out. It’s also the fact that it’s £40 for DLC. Sure we’re expecting it to be a lot heftier than previous DLC, but history suggests that it will be lacking. The House of Wolves and The Dark Below had content that barely lasted a handful of hours then you were just replaying it over and over. It seems that damage limitation is already taking place though, with community manager Deej stepping in to say “Year One players won’t get the same perks as people who buy a collector’s edition. They’ll get something better. Tune into the Weekly Update for more.” I wonder what this will be? Probably the announcement that the emotes will be sold separately or given to existing players. 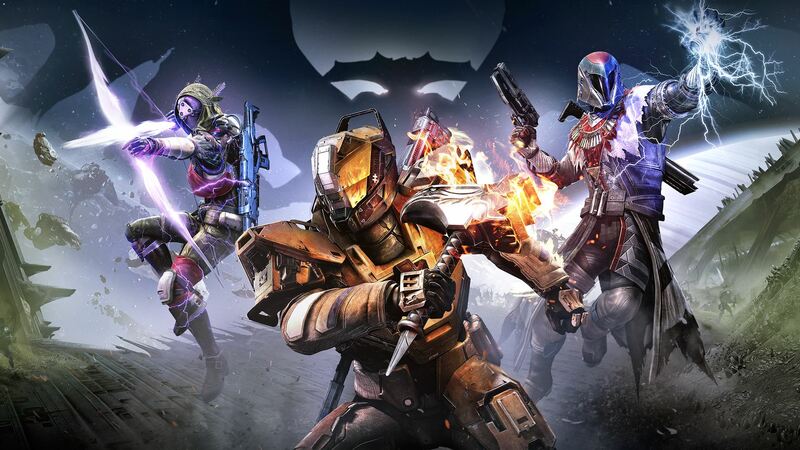 I’m hoping that The Taken King will offer a boat load of content and that it will be excellent, but to be facing this kind of backlash so early after the announcement is just not good and kind of looks a little amateurish. Here’s hoping things turn around for the good. I think if the first two DLC packs had landed much sooner, then maybe Bungie would still have the player-base to be that arrogant. I know of a lot of people who have played many many hours of the game and just progressed onto other things. To try and entice those people back in to spending £40 using nothing more than arrogance and dismissive remarks seems like a massive mis-step. I genuinely find it mind boggling that they think it’s fine to spend £80 just to get the 3 extra emotes, especially given that there’s not any word over what they actually are. I’m also noticing a bad trend for the price in dollars being the same as the price in pounds. The price thing has always been an annoyance, but that doesn’t seem likely to chance any time soon. I just don’t see how they thought offering the emotes etc… wouldn’t annoy existing players. It’s a rookie move.